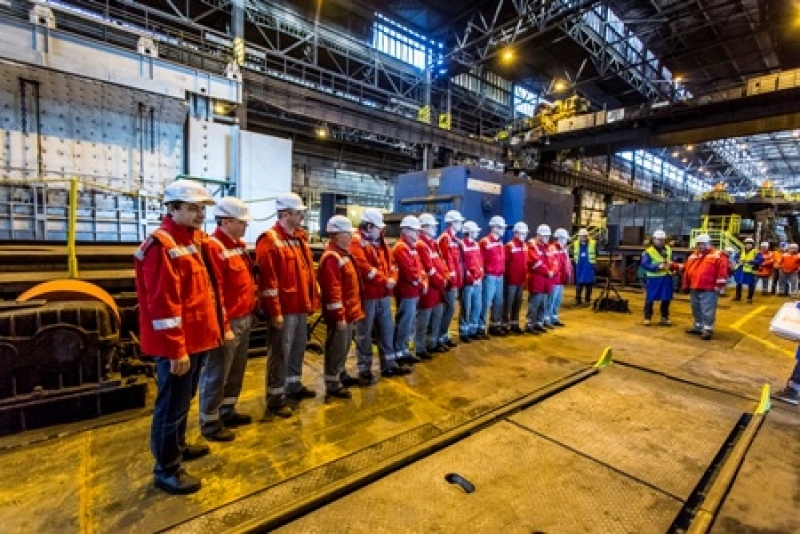 Ostrava, November 24, 2015 - With the participation of the company’s employees, management, and invited guests the operation of a modernized pusher furnace no. 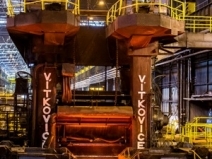 2 was officially put into trial today in the VÍTKOVICE STEEL, a.s. Quarto 3.5 rolling mill. The ecological benefit of the project lies primarily in the reduction of the amount of discharged nitrogen oxides into the atmosphere by approximately 21.7 tons per year. 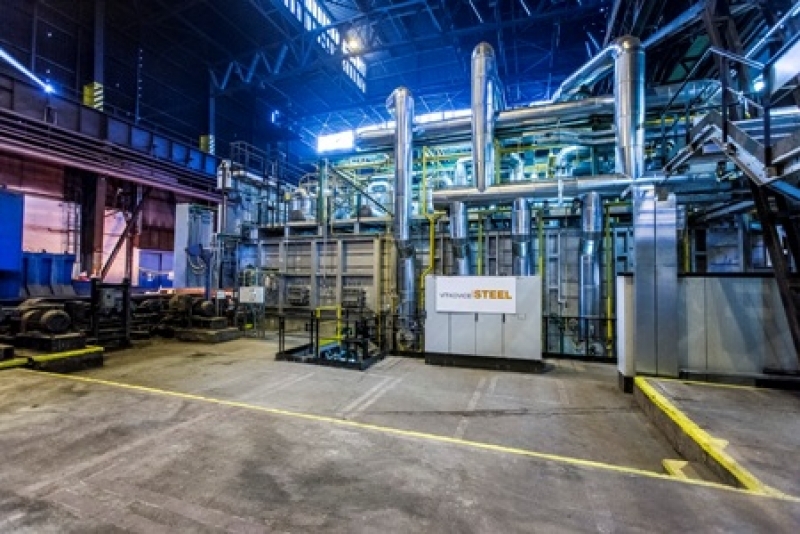 By reducing emissions, this project will contribute toward improving the environment in Ostrava. The total investment is 196 million CZK. Activities were implemented with a provision of subsidies from the Operational Programme Environment in the amount of 125 million CZK. 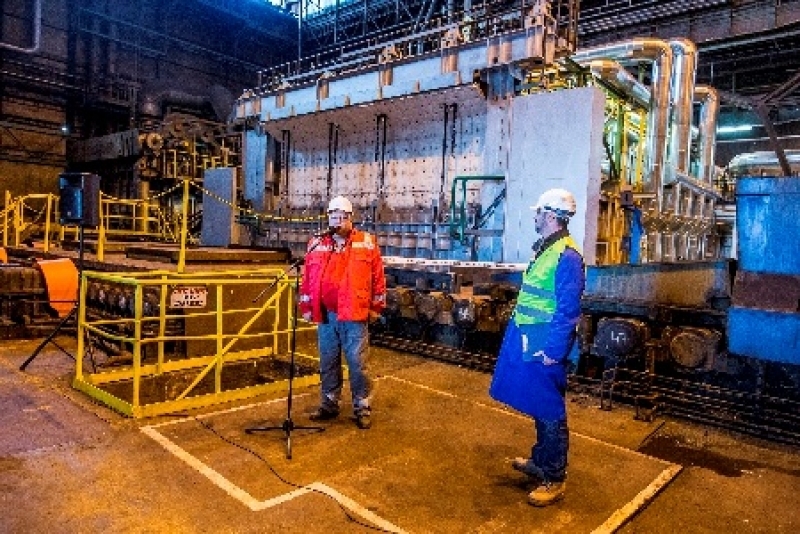 The first slab, which left the new furnace today, is designed to produce a so-called heavy plate for a customer, the SIAG Company. Ultimately, the sheet will be used to manufacture parts of a wind power plant. 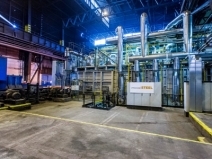 The purpose of the overhaul and modernization of the pusher furnace for slab heating is to implement a new supporting structure for the furnace, to incorporate heating brick linings, thermal insulation, and piping, including the installation of new instrumentation and an automatic control system, and especially the installation of a new heating system using burners with low nitrogen oxide emissions. 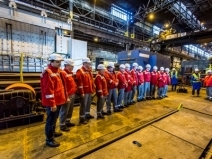 The company's management also views this investment as a statement regarding the future of the company after the September closure of the steel shop. "The obligation of the subsidy recipient is to operate the specified equipment for at least five years. And we plan further large investments; the shareholders pre-approved an investment of more than one billion Czech crowns by 2020," said D. Ščuka. 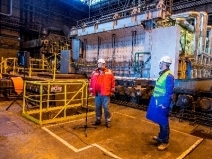 The pusher furnace serves for heating slabs, the so-called charge, from which a plate is subsequently rolled in a rolling mill. 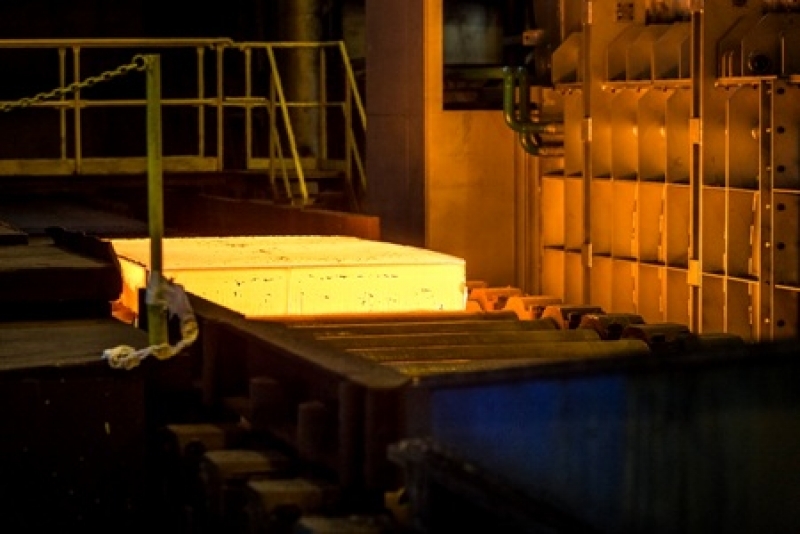 Individual pieces of the charge (the maximum dimensions of the slab are as follows: 350 mm thick, 2,000 mm wide, and 3,300 mm long, the maximum weight 15,000 kg) are preheated based on the plate manufacture technology needs to the temperature 1150 - 1250 °C. In modernizing the furnace, which has been in operation since 1972, the best available technologies were used, resulting in a modern heating furnace with significantly lower fuel consumption - natural gas - and also with significantly lower emissions of carbon dioxide and nitrogen oxide than before the modernization was put into operation. 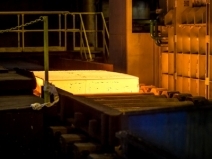 The furnace modernization project was launched in the spring of 2012. Preparatory works were initiated in the spring of 2014 after receiving a positive decision on the subsidy. 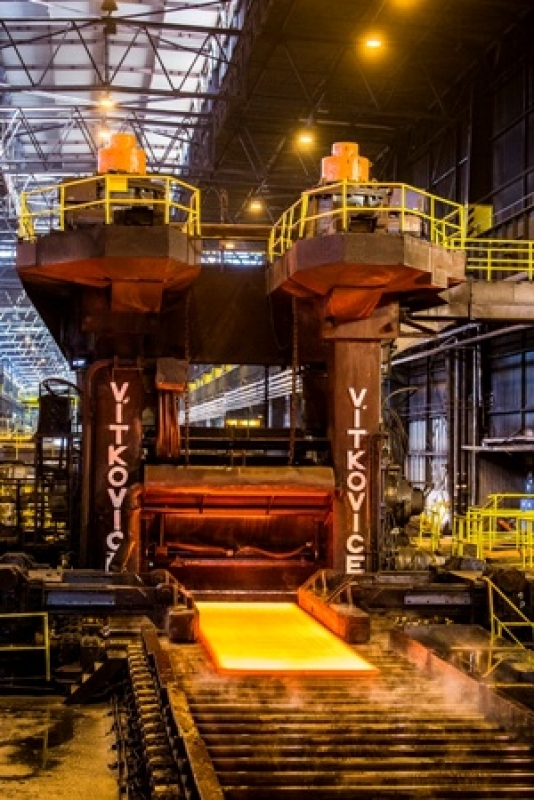 The main contractor, Ostrava-based BKB Metal, a.s. was selected in a public tender. Design activities for the project implementation began after signing the contract in August 2014. New technologies are manufactured in Italy by SMS Meer. The trial run launched today will continue until June 30, 2016. All environmental and technological parameters will be tested and verified by performing warranty tests during the trial run.